RecruitMilitary is a trusted contractor — delivering results. We have worked with hundreds of Local, State and Federal Agencies since our inception in 1998 and continue to offer an unmatched ROI when connecting government organizations to the military talent pool. Our comprehensive solutions are all created, produced and coordinated in-house which allows RecruitMilitary to offer the most effective veteran hiring and branding mechanisms while saving tax-payer dollars. We understand that government agencies offer great employment opportunities to veterans. Our discounted rates make it easy and cost effective for your team to connect to the military job seeker community. RecruitMilitary offers a comprehensive suite of mechanisms that allow your agency to connect to the military talent pool on a local or national scale while sharing the results of your efforts throughout. You will be matched with one of our Veteran Hiring Experts to learn the full scope of your project while offering expert guidance and insight on how to effectively tap into the military market. Government agencies bypass service costs because RecruitMilitary does not buy through a distributor or subcontractor. We take great pride in internally producing all of our services and have established a proven track record that gives our partners confidence that they are getting the best price possible. By having a single source contractor you save time, money and frustration when utilizing our “One Stop Shop” platform. We will connect you to military experienced talent through a multitude of different channels. By leveraging our “bundling” and “quantity” rates, in addition to the government discounts, your agency can ensure deep cost savings while developing a more robust veteran initiative. RecruitMilitary utilizes our proprietary mechanisms for everything from direct recruitment efforts to full branding initiatives that offer results-driven solutions. We can place your government agency in front of hundreds of thousands of military veterans both nationwide and within your area of operation. Attend our premium veteran career fairs and meet the most highly skilled labor force in the country, U.S. military veterans. Gain access to transitioning military job seekers by attending a well recognized RecruitMilitary career fair on select military bases. Virtual Career Fairs allow you to reach veterans from anywhere and expand the already broad access you receive at RecruitMilitary job fairs. Online and self-paced training modules to help enhance the effectiveness of your military hiring initiatives. Search a rich talent pool of veteran candidates by military job specialty, skillset, geography, security clearance, and more. Automated talent delivery system delivers qualified candidates directly to your email inbox. Expose your organization’s opportunities to thousands of veterans by posting jobs to our site, or post in bulk via our XML API. Leverage our job board to send personalized messages to qualified and interested veteran candidates that meet your hiring criteria. 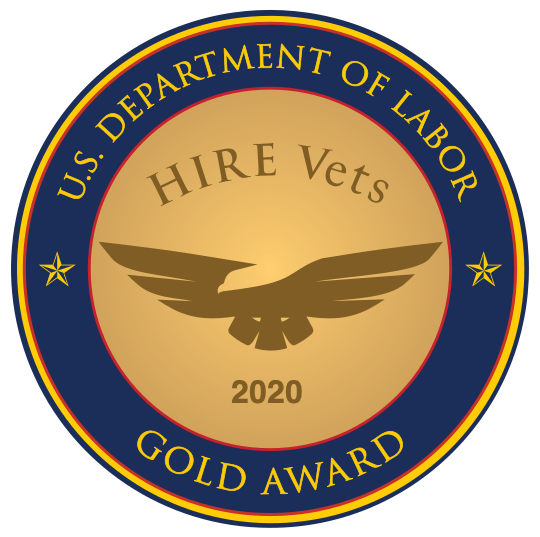 Get the word out about your organization to over 300,000 verified and opted-in veteran candidates via our VetTen digital newsletter. Advertise and brand your organization in our print/digital magazine, with over 50,000 copies distributed to military bases globally. Promote your brand to the veteran community with a micro-site or banner ad, attracting over 120,000 unique website views per month. When you need a valuable hire fast but don't have time to recuit, pre-screened and pre-matched candidiates are a phone call away. Sign up for multiple career fairs in the same region plus database access to reach thousands of job-seeking veteran candidates. Highlight your organization’s veteran-friendly brand on-site during one of RecruitMilitary’s renowned Veteran Career Fairs. Our turn-key bundled solution packages allow you to maximize your spend and earn the highest possible return on your recruiting investment.